Tonight, Agents of SHIELD returns to TV with a whole half-season saga centered a long-time staple of SHIELD—the Life Model Decoy, or LMD, a sentient android doppleganger indistinguishable from an actual human being. LMDs have long been one of the most used and abused concepts in Marvel Comics, thanks almost entirely to Nick Fury. Here’s hoping Agents of SHIELD doesn’t pull anything as ridiculous as these stories. LMDs made their famous debut—alongside iconic institutions SHIELD and Hydra—in the pages of Strange Tales #135 in 1965. But if you ever thought that LMDs weren’t completely ridiculous from the get-go, we can assure you their creation was outlandishly absurd. Nick Fury is brought to the Pentagon before being cloned, against his will, in a matter of seconds by a group of scientists. Before anyone can explain what the hell is going on, dozens of Nick Furys appear out of nowhere, only to—as the comic says—be instantly destroyed by Hydra agents in seven seconds flat. Turns out the Pentagon wants Nick to be the head of SHIELD, and if he takes on the position, he’ll need to have synthetic bodyguards distracting would-be assassins. That in and of itself isn’t ridiculous, but the fact that dozens of Nick Fury LMDS are taken out so quickly, after an intense and painstaking process that the first page of the book describes being fatal to Fury if he even so much as breathes too hard. All that effort, all that money and time, and they’re all gone in seven seconds? She-Hulk has long had a history of goofy, tongue-in-cheek stories, so it would make sense that an encounter with LMDs in 2007’s She-Hulk #17 would be as ridiculous as the concept of LMDs is. After She-Hulk and SHIELD’s team of “Hulkbusters” take down an electricity-based monster, the monster takes control of the SHIELD Helicarrier it’s being stored on, infecting all technology on board… including what is apparently Every Nick Fury LMD Ever, which, given how many damn things he’s had (more on that later), is a lot. Why is she in her underwear? 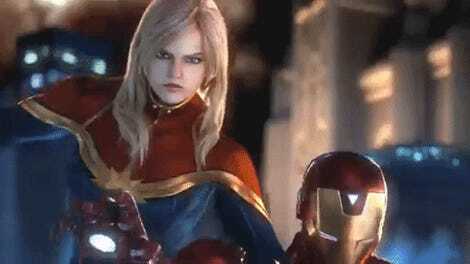 Oh, she was just sleeping with Tony Stark before the systems went haywire. She even gets to crack a line about it being a double standard that Tony can get his armor on his naked body within panels, while she spends the rest of the issue in her bra and pants. Early on in his career Tony Stark would get his own Life Model Decoy after the Mandarin discovered Iron Man’s true identity. Six issues after the fact, the now-defunct LMD is revived by an explosive blast in the vault Tony secured it in, and has somehow become a sentient being… one that inevitably attempts to declare itself the real Iron Man and take Tony’s place. Womp Womp. Tony might have beaten the LMD and gotten his life back soon enough, but the story became the template for myriad “LMDs become humans” stories in the decades since. Nick Fury has had so many goddamn LMDs over the year no one knows just when they’re talking to the real deal or a robot. So when Marvel wanted to do a “no really, Nick Fury dies this time for reals!”, they faced a giant problem: they’d have to systematically destroy every Nick Fury LMD they’d pulled out their asses for nearly 30 years. There was only one character who could pull off such an absurd feat: The Punisher himself. And pull it off he did. Castle apparently got to every LMD of Fury ever made, before eventually shooting the real Nick dead in front of Daredevil. Case closed, right? Wrong, this is comic books and you must never listen to a comics publisher ever. Turns out the Nick Fury the Punisher shot was—you guessed it—a SPECIAL Life Model Decoy built by Tony Stark on the sly and secretly the most advanced model of LMD ever built that had never been seen or mentioned before because of course it wasn’t. 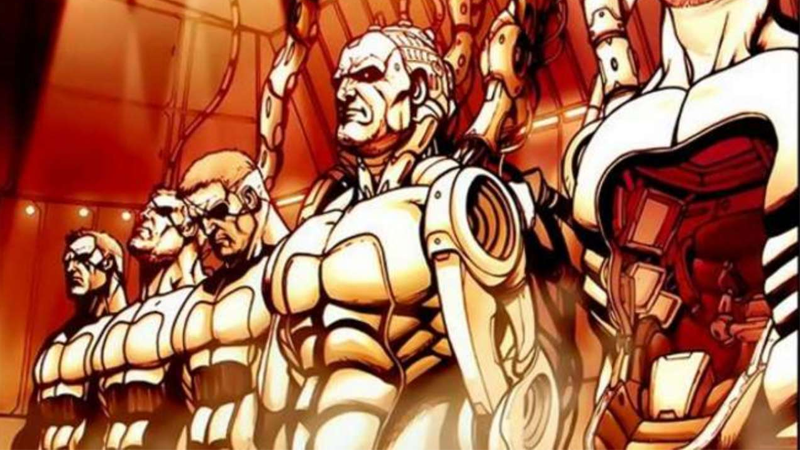 Stars of their own miniseries in the mid-2000s, the Livewires were a bizarre mix of multiple sentient copycat androids from the Marvel universe (are you shocked there’s more? )—a blend of the most advanced LMDs SHIELD could make and the Mannites, a line of bio-technical androids that could develop superpowers after going through a traumatic process called “the Changing.” They were tasked as a sort of anti-black ops black ops team, a disposable set of agents who could go on suicidal missions as some sort of squad. Anyway, the antagonist of their short-lived series, from Adam Warren and Rick Mays, was the White Whale, which was eventually revealed as a hive-mind network of Nick Fury LMDs that were doing nefarious this for… reasons. Look, basically, they were the Borg, but with more eyepatches and giant power suits that finished each other’s sentences. It was real silly. Marvel’s generally left the LMD well alone for the past years… mostly. One of their biggest “twists” involving them recently came in Original Sin, which revealed that Nick had actually been using tons and tons of LMDs—quelle surprise—to hide the fact he was aging and weakening after his Infinity Formula serum ran out. At this point, I think it’s safe to say that the original Nick Fury had an LMD addiction. Or rather, Marvel had a Nick Fury LMD addiction, and the result is a further cheapening of death in a medium that already does that way too often. The LMD is completely played out at this point in the comics. While it’s cool to see them on Agents of SHIELD, they’re still a plot device that can way too easily be misused, overused, and abused. Hopefully the TV show learns from the comics’ mistakes, and we don’t have to start worrying who is and isn’t a robot every episode. On the other hand, a Grant Ward LMD showing up to freak everyone out would be hilarious.